Regular grooming of your Labrador is not only vital for his health and hygiene; it can also help improve the bond you share with him. Grooming also provides you with the perfect opportunity to employ regular checks to ensure your dog’s health is in good order. During spring and fall a black Labrador sheds hair and to prevent your floors from looking like a hairdresser’s you will need to know how to combat this shedding (below).How often your Labrador sheds depends on its breed and, as you may know, a black Labrador has two shedding seasons. However, a yellow Labrador continuously sheds its fur throughout the course of the year, but at a slower rate. The process below should be repeated weekly until you’re certain the majority of your dog’s fur has been removed. Once this has been completed you need to employ maintenance techniques that will prevent you from bathing your dog again and assist in the distribution of the fur’s natural oils. 1. In a warm bath ensure your dog is completely wet from head to tail. You may use a cup or sprayer to do so. 2. Massage your Labrador’s coast using either your fingers or a grooming tool. This will loosen any dry skin and dead hair – using a tool can assist in working the entire length of your dog’s coat including the root area. 3. Rinse your dog whilst continuing to massage him. 4. To dry your dog use a hairdryer on a warm or medium setting and work the coat in the opposite direction of the hair growth. Tip: Using a bristle brush will remove dead and dry skin or hair whist helping to distribute natural oils - keeping your dog’s coat looking shiny and healthy. Eyes – Clean if needed with a cotton wool bud that has been coated with saline. For those who have noticed stains around your Labrador’s eyes, don’t fret this is normal and is caused by your dog’s tears. Ears – Clean the visible areas of your dog’s ear with cotton wool or cotton swabs that have been doused with ear cleaner. Nails – Occasionally your dog’s nails will need to be trimmed. It’s imperative that you have your vet carry out this procedure as improper clipping can cause pain and be the catalyst for health problems. Teeth – You should brush your dog’s teeth daily using a soft toothbrush and paste. Lift your dog’s lips gently and brush the outer surface. It’s known that dental plaque can find its way into your dog’s bloodstream and to his heart, which can cause heart disease. If your dog has a build up of plaque, it’s time to take a trip to the vets to have it removed properly. Pest control – If necessary apply a pest control product that covers ticks, fleas and worms. When inspecting your dog you need to look out for anything that appears to be abnormal including lumps, dry patches, hair loss and bumps. It is advisable to lift and touch your dog’s footpads and examine his ears as it will make it a lot easier for your vet to treat him if he’s already accustomed to having these tender areas touched. Eyes - Check your dog’s eye regularly for any irritation or discharge, if either is present take him to the vet as soon as possible as he may have an eye problem. Ears – If your dog is scratching his ears effusively or shaking his ears a lot and you notice a red spot, bad smell or can’t fathom what the problem is he may have mites or an infection that needs to be treated by a vet. The ultimate guide to grooming your Labrador has been written by Bonlays on behalf of All About Labradors. http://www.bonlays.co.uk is a specialist dog and cat retailer offering pet owners with a vast range of products that will help keep them entertained, well dressed and groomed. When people think of elevated liver enzymes, their own health may be what initially comes to mind. Yet, canines can also be affected by illnesses that lead to an increase in liver enzymes. It's important to remember that this situation can occur for a number of different reasons. If a test result for your dog shows that this is the case, you will need to talk with a vet or someone else who is a professional in this area in order to try to determine the underlying reason for it. Today, we have a look at some of the issues that may be behind this test result. Like with humans, dogs can contract a hepatitis virus. This is disease in which, as indicated by its name, the liver goes through inflammation. In dogs, it can lead to a reduced consumption of food. On the flip side, in some cases, increased thirst can be displayed, leading also to a higher output of urine. Other symptoms can also be noted. As for diagnosing the situation, liver function tests are performed which show the enzyme levels. This aside, a diagnosis may be confirmed by way of a liver biopsy. The disease is also treated someone differently based on the form of hepatitis that is affecting the dog. Another form of inflammation can also lead to this rise in liver enzymes. In this case, pancreatitis is inflammation that hits the pancreas. If the situation is acute, vomiting is one of the symptoms that may indicate this. Additionally, there can be a strong abdominal pain involved. Following initial symptoms, the dog may become weak, and diarrhea is another issue that may result. Note that non-acute cases may present quite differently (not that every acute case has the same symptoms to begin with). Once taken to a vet, both an examination and liver enzyme tests are a couple of things that may be used to try to receive a diagnosis. If you care for your dog's health, do your best to provide the necessary when illness strikes. You probably won't know exactly what medical condition is involved. Symptomatic guesses may turn out to be right, but that doesn't mean that you should use the information in this post to try to determine what is wrong. Instead, look for professional assistance. It may turn out that your dog's liver enzymes are high, and if that is the case, further testing could be required to find out what the actual medical issue is. 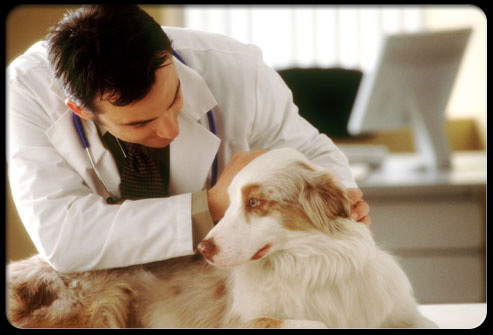 Medical insurance is not just for humans, it’s for your furry friend as well! Dog insurance helps protect you from unexpected veterinary expenses and even ongoing medical treatments, which can quickly add up. With dog insurance, you can rest assured that your dog will be taken care of so that you will never have to make the heartbreaking decision to put a price on his life or happiness. Myth: Dog insurance is only beneficial near the end of a dog’s life when he is more prone to developing an illness. Fact: While puppies that are sturdy and full of life may seem like they are immune to developing a serious health condition, it just isn’t the case. Puppies unfortunately don’t have the self control to stop themselves from getting injured and their curiosity and pension for getting into everything can also get them into trouble. Puppies definitely need to be covered. Myth: Dog insurance is only beneficial when the dog is a puppy and more active. Fact: Yes, puppies need to be insured, but so do adult and senior dogs. Even if your dog has never had an accident or illness that does not mean he never will. As dogs age their bodies start slowing down and they can injure themselves. Also, there are certain illnesses that can show up later in life, like cataracts. Myth: I have a mixed breed dog so he doesn’t need to be insured – mixed breeds are always healthy. Fact: Many dog owners assume that because of the lack of inbreeding in mixed breed dogs as compared to purebred dogs, mixed breed dogs won’ t be prone to any particular health condition. This isn’t true. Mixed breed dogs can get sick! Myth: My dog stays inside most of the time and doesn’t have a chance to get injured. Fact: As much as you like to think you can protect your beloved pet, there are things that are just out of your control. Certain hereditary and congenital disorders, for example, are inherit in the dog and cannot be prevented. And many of these conditions are extremely expensive to treat. 1. Nacho the dog needed several extensive surgeries to heal injuries caused by being hit by several cars. Total cost was $11,591.33 and Nacho’s owners were reimbursed $10,279.20. 2. Bubba is a 9-year-old Australian Cattle dog that began experiences seizures. His owners rushed him to the hospital for immediate medical attention. Bubba needed diagnostic testing, anesthesia, and an MRI to diagnose the seizures. The total cost was $3,902.07 and Bubba’s owners were repaid $3,228.27. 3. Kokanee, a 9-year-old dog had been battling Lymphoma for six weeks, making multiple trips to the veterinarian’s office for diagnostic testing, fluids, and medication. Veterinary costs totaled $3,783.18 and Kokanee’s owner was reimbursed $3,252.76. What is your experience with pet insurance? Have you personally seen the benefits? All About Labrador guest post provided by Heather Kalinowski of Trupanion pet insurance. Heather Kalinowski is a dog mom to an Italian Greyhound and a Spaniel mix and a new mom to a baby boy. 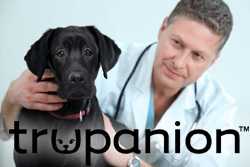 She also works to help other pet owners protect their pets with Trupanion pet insurance, a pet insurance company that covers 90% of veterinary costs with no payout limits. The Labrador retriever has been one of the most popular dog breeds throughout the world for many, many years now. Regarded as one of the most even temperament, intelligent, and adorable breeds out there, there's a lot to love about a lab. Labs were originally bread as working dogs, retrieving game for hunters in the fields and in water. Today, the Labrador is very much a household pet. While there are many individuals who still use the pup's retriever sense to help them hunt, for the most part these dogs are just part of the family. While it's easy to see why the Labrador is such a well-loved and popular breed, there are some downsides to being the most popular breed around. Labrador's have been overbred across the nation because of how popular they are. This leaves many a lab without a proper home and in need of help. There are numerous Labrador rescues across the country, working hard to find safe and loving home for any Labrador in need. This lab rescue organization provides support for Labradors in New Mexico and surrounding areas. Luvin' Labs works with local shelters and other dog rescue organizations throughout the region to find homes for any lab pups in need. There are a number of foster volunteers throughout the state who work to provide temporary homes for the labs and help nurture behavior in the dogs that will help them find their "forever homes". It is through organizations like this one, that Labradors who are abandoned, stray, injured, or lost can find shelter, care, and love outside of the busy and overcrowded shelters. Luvin' Labs provides detailed descriptions of the dogs they have in foster homes and available for adoption. Without rescue organizations like this one, many of the older or injured labs that are living in foster homes would have been put to sleep in shelters. While Luvin' Labs run out of New Mexico, they do work with surrounding lab rescues to help find the labs their best and most deserving homes. 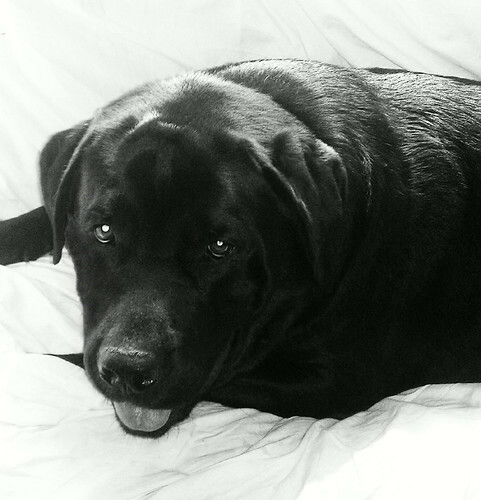 This lab rescue serves Labradors in need in the Washington D.C. area. As a federally recognized nonprofit organization, LRR accepts donations to help with the care and protection of labs and that donation is tax-deductible. LRR takes special care of their rescue dogs, refusing to take the dogs to public adoption events in hopes of matching their labs with families more carefully. They take the time to thoroughly evaluate both the Labs that they care for and the potential owners. They want to be sure to find a home that can support their Labs both physically and emotionally and they want the Lab to be able to do the same for their new home. Their goal is to provide a clear and honest evaluation of their various dogs, so that potential adopters can find the exact fit for their household. 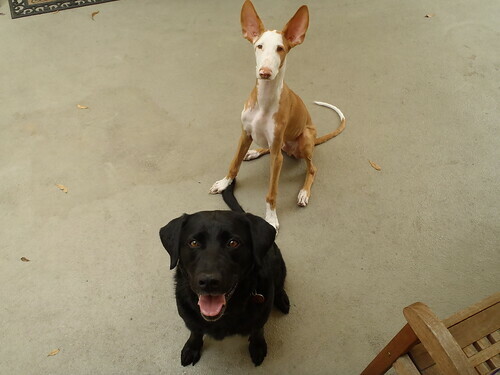 The Labs that LRR homes come from animal shelters, humane society organizations, and from owners who are no longer able to care for their dogs. This organization provides a lot of wonderful and useful information on the Labrador breed in particular and about Lab rescue missions across the country. The Labrador Education and Rescue Network (LEARN) is a volunteer nonprofit organization placing Labradors in new homes throughout Illinois and Wisconsin. While this organization provide much the same care and service that the others do around the country, LEARN has also established itself as a wonderful resource for dog owners and enthusiasts. The organization provides numerous articles and information, concerning training, behavior, illnesses, dog food choices, car safety, and much more. These resources are extremely useful for any pet owner and are specifically geared towards assisting Lab owners. LEARN helps find Labs the home that will best suit them and helps to educate the owners about how to properly care for a rescue dog. There are many things about rescue dogs that differ from caring for other dogs. This network helps you find important information and guidance when looking after a Lab. What are the most common diseases in dogs? Every owner must ask him/herself that question. Many of the most common conditions can lead to serious organ damage and be lethal unless prevention and timely treatment are administered. Find out about these dangerous diseases and how to protect your pet from them. Parvovirus is a highly contagious virus that is extremely dangerous to dogs. The acute illness following the infection with the virus usually occurs within four to five days after the dog came in contact with infected feces. In puppies the condition can develop within 1 to 2 days. The symptoms include depression, loss of appetite and diarrhoea. Dogs infected with parvovirus and displaying serious symptoms are usually treated in a hospital setting with different types of intravenous medications. Effective parvovirus prevention does exist. Puppies need to be vaccinated against the virus when they are 6 to 9 weeks old. Those at higher risk of getting the disease may require vaccination when they are 5 weeks old. Rabies is a virus that is lethal to animals and humans. This is the reason why it is so dangerous. It is passed from an infected creature to another through saliva, as it contains high amounts of the virus. Once inside the body, rabies will affect the brain and spinal cord. The initial symptoms of the condition include restlessness and sometimes aggression. As the illness progresses, the dog will become weak and get seizures which are usually followed by death. There is no treatment for this condition. Since rabies is a serious threat to public health, most states require dog owners to vaccinate their puppies against the virus by law. The vaccination is done when the puppies are between 12 and 15 weeks old. Booster vaccines are often required. Distemper is considered one of the most life-threatening diseases in dogs. The condition is caused by a virus that is transmitted through the air. The virus affects brain cells, skin cells and lung cells. A dog that has inhaled the virus often does not show symptoms for 6 to 9 days. The primary symptoms of the disease include fever, loss of appetite lethargy and runny discharge from the nose and mouth. Treatment involves administration of intravenous medications. Effective prevention is achieved through distemper vaccination administered when the dog is between 6 and 8 weeks old. Modern vaccines provide full protection. This is a disease affecting the respiratory tract. It is caused by a number of different virus strains with the most common one being Bortadella. It is called kennel cough because it is highly contagious and can be transferred from one dog to another when they are in groups. The infection affects the throat, the trachea and the bronchial tubes. Coughing is the main symptom. Medication is often administered to canines that have kennel cough, even though the condition goes away on its own in most cases. Vaccination against the different virus strains causing the condition is available and provides the most effective protection. Leptospirosis is a disease caused by a class of bacteria. The bacteria are usually found in the urine of animals so they are easily passed into water sources. The liver and/or kidneys are the primary dog organs affected by the disease. The symptoms include lethargy, fever and vomiting. The condition is treated with the use of antibiotics. Vaccine against Leptospirosis is available and can be administered to puppies. Hepatitis usually affects dogs with weakened immune system. The symptoms are mild and usually include fever and lethargy. Treatment includes different types of medication and recovery is usually rapid. Vaccination against hepatitis in dogs is available. Ear infections are quite common in dogs, especially in ones with long floppy years. In some cases the ear canal just gets blocked by an oily waxy yellowish substance. In others, the infection may be caused by bacteria or yeast and fungi. All of these organisms thrive in the waxy build up in the ear canal. Inflammation occurs as a result of the infection. The dog experiences discomfort and pain. That is why owners first notice the scratching of the ear and the shaking of the head. Ear infections are treated with different types of medications depending on their cause. Prevention involves regular cleaning of the ears at home and constant monitoring. The heartworm larvae are transferred through mosquito bites. Once they find an animal host, they develop into full-grown worms that live in the right chamber of the heart. The most common symptoms of heartworm infestation include lethargy, easy tiring, exercise intolerance and light cough. As the infestation progresses, the dog may begin having difficulty breathing, lose weight and have faints. The heartworms are killed with the use of orally administered medication. Surgery is necessary only in rare cases. Heartworm prevention programs are readily available. Preventive medications are usually administered monthly for set periods throughout the year. Osteoarthritis is quite common in dogs. It is characterized by degeneration of the joints. Dogs that have orthopaedic diseases, joint infection or certain genetic conditions are at higher risk of developing arthritis. The condition is incurable, but its progression can be delayed and symptoms may be relieved to an extent. Physical therapy is the most common form of treatment of osteoarthritis in dogs. It is usually accompanied by different methods for pain relief such as medication intake, supplement intake and acupuncture. Diabetes mellitus (sugar diabetes) is quite common in dogs and especially in some breeds such as Golden Retriever. The condition is characterized by the insufficient production of insulin. Frequent urination and drinking lots of water are among the first signs of the condition. Dogs with diabetes have increased appetite, but lose weight rapidly. Treatment of diabetes involves daily insulin injections. Diet control is essential since weight gain and some foods may make the condition worse. Your dog should get all the vaccinations that he needs. You must provide proper care and nutritious diet to protect your pet from diseases effectively. Also any condition which your dog contracts you must inform your pet insurance company in some cases it won't invalidate your policy but in some case it can, which means that you could miss out on that all important treatment for your pet. These ten diseases for dogs are probably the biggest killers of dogs here in the UK. We have come across some of these horrid diseases over the years which is a good reason why you should always make sure your dog has proper pet insurance and also make sure that all his/her vaccinations are up to date. Remember your dog is venerable when they are a puppy, as their immune systems are quite immature. So making sure you have proper pet insurance, good diet, adequate exercise and make sure you are up to date with vaccination, as a responsible dog owner it is your duty to provide the best care for your dog. There are three terrific free online resources I thought I'd share with you today. These databases are used by vets, geneticists, breeders and dog owners to access a wealth of information about inherited disorders in dogs. The goal of the Canine Inherited Disorders Database (CIDD) is "… to reduce the incidence of inherited disorders in dogs by providing information to owners and breeders, and to facilitate the best management possible of these conditions by providing current information to veterinarians." * Dog owners with a pet diagnosed with an inherited disease. * Prospective dog parents who want to learn about the inherited conditions of certain breeds. * Breeders looking for information on avoiding inherited diseases in their dogs. * Veterinarians who need up-to-date information on diagnosis and treatment of genetic disorders. The database is organized by breed (see menu on left margin of home page). For each breed there are links to information about the most common inherited diseases, less common disorders with increased incidence in the breed, conformation (breed standard) disorders, and conditions that may or may not be inherited. You can also research diseases by body system. This information is linked in the lower half of the home page. The Inherited Diseases in Dogs (IDID) database is provided by the University of Cambridge Veterinary School. You can search the database from the home page by selecting a breed or genetic anomaly (inherited disorder), or by typing in a keyword. This database also contains references to peer-reviewed scientific literature for further research. If you select Airdale Terrier from the breed list (as an example), you will next see a page which (currently) lists six genetic diseases with brief descriptions, and a link to more info on each. If you want to learn more about a specific disease listed, you can click on the More Info link below the brief description. If you want to learn which breeds are more likely to inherit a specific disease, you can select the condition from the genetic anomaly list and you'll get a list of breeds in which the disease is most often seen. If you want to search by keyword, simply type in a word like 'cancer' and click Search. You'll see a list of breeds with a genetic predisposition for cancer, along with information on what types of cancer most often occur in each breed. The Online Mendelian Inheritance in Animals (OMIA) (OMIA) database is hosted by the National Institutes of Health and includes all animals, not just dogs. However, dogs are the best documented of all the animals found in the OMIA database. This database is considerably trickier to navigate than the other two unless you're already familiar with it. * References, which in this instance is an incredibly comprehensive list of published studies relating to canine hip dysplasia. However, if you search for Cushing syndrome, you'll get a 'No items found' message. But if you type in simply Cushing, you'll get results. So of the three databases I've listed, I'd use the OMIA last unless you're already familiar with it. I also don't recommend trying to search this database by dog breed. Hopefully, you'll find these free online tools useful when you have questions or want to learn more about the health challenges of certain dog breeds. This is Chester, a three year old, black Labrador Retriever, sent in to us from JW (USA). From JW: "He is three years old and I have had him for a little over a year, I got him at the pound they said the man had papers but They did not give them to me they also told me he was a blockhead lab and the man called him Chester So I kept that name because he seamed to like it Anyway we live in Missouri and I love Chester so much he is so smart and a "125lb" gentle giant he is so good with my little old Sloopy, she is 15 now and the boss and he is o.k with that:-) I hope they both live forever :-))))"
6 year old black lab, Casey and her best friend, Oban, an Ibizan hound. These two are like little kids, always playing nonstop. Here they just paused to beg for treats.